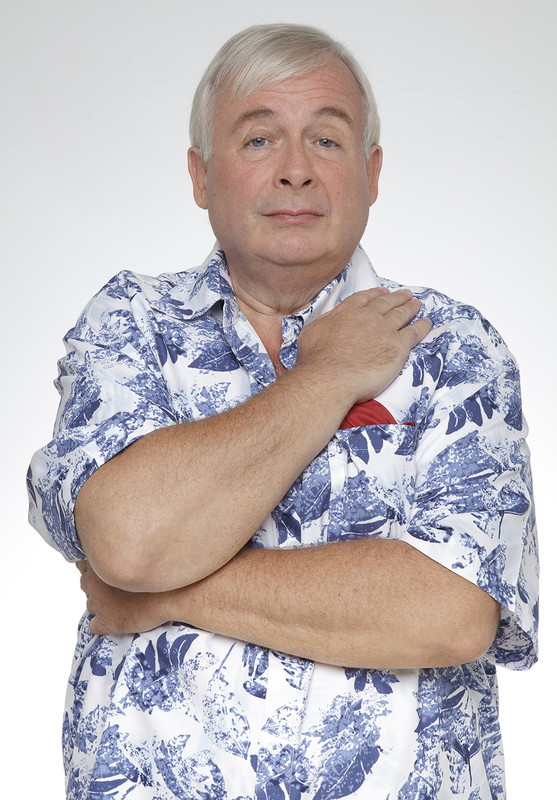 Christopher Biggins talks about his new role as a raving homosexual dress designer! Christopher Biggins is an ageless British star who has accomplished all that an aspiring actor and presenter could wish to accomplish. I spoke to him earlier today to hear more about his role in the new British movie "Run for your wife"; A slap stick comedy starring Danny Dyer and featuring a veritable who's who of UK talent, and I'm reminded of my childhood as we delve into Chris's past appearances in hit TV show's including Rentaghost, On safari, Porridge and many well thought out dramas, stage shows and of course - pantos. Q Tell us a little more about the new movie "run for your wife" that you are starring in? Its' a British comedy produced by the amazing Ray Cooney. It has had some bad press from some of the critics but i have to say when i watched it at the premier i found it very very funny. Danny Dyer was amazing in it and he is a very accomplished actor and also extremely funny too. Danny and Neil Morrissey were absolutely brilliant and an absolute pleasure to work with. I play a raving homosexual dress designer which i i know you find it hard to believe and my boyfriend in the film was played by a very old and good friend of mine, Lionel Blair. Of course you can probably guess that we both never stopped laughing throughout filming. I play a raving homosexual dress designer which i i know you find it hard to believe and my boyfriend in the film was played by a very old and good friend of mine, Lionel Blair. Q What was the funniest thing you encountered throughout filming? Well myself and Lionel had to shoot a scene where Lionel was dying a red dress and he leaves it to answer the telephone. While he is answering he forgets about the dress and the red dye just ends up everywhere. it ends up with people running around everywhere with the dye all over the place covering everything and everyone. it was very slapstick and so much fun to be involved in. Q Who else did you work with on the film ? It was great as we had stars such as Dame Judi Dench, Denise Van Outan and the late Richard Briers whom you'll know from your childhood too. Also Sarah Harding who was a pleasure to work with and also a great actress called Kellie Shirley who plays Susie Browning in the movie. The is also a young actor called Ben Cartwright who plays and policeman and he just gets very very confused throughout the film. Then of course is truly great Derek Griffiths. I have worked a few times with Derek in Pantomime and after i always say never again as I literally cannot stop laughing but I always ended up working with him again. He is a great friend and one of the funniest people i have met. Q Being a staunt figure in the stage show arena and with "Run for your wife" being a film adapted from a stage show do you think it has been a success as a movie? Absolutely yes, Ray Cooney has managed to adapt it so well. He did it in such a clever and funny way that it has definitely worked as a movie as he has caught the comedy value in such that its most definitely a laugh out loud movie. At the premiere I found myself laughing all the way through alongside a lot of the other actors and actresses. Q I also see you have been playing GOD in the Monty Python stage show "Spamalot" . How does it feel to become a part of the Monty Python saga ? When Eric Idle asked me to appear i was very happy to oblige. There have been numerous guest appearances over the summer from various famous names such as Barbara Windsor and Hugh Boneville and of course Bonny Langford plays The lady of the lake. We don't appear live on the stage as we film the sketches before hand but it was such an experience and I thoroughly enjoyed every minute of it. Q You have done so many roles in so many shows on TV and on stage, which do you prefer? The Stage or the screen ? The good thing about working on the stage is that you get an immediate response and you dont see the response from the screen work until its shown in the cinema or on TV so i really love working on the stage but to be honest they are both very rewarding. Im very privileged to have had some of the roles that Ive had, on stage and on screen and I've enjoyed every one of them. From working on Porridge, appearing in many shows and to be honest one of the best was being "Im a celebrity get me out of here". Q How was that experience ? Was it as exciting as it looked? I actually did it for Ant and Dec as they had wanted to get me on for a while. I didn't know what to expect but i knew it would be hard. You'll find it hard to believe but apart from the first night in the jungle i had some of the best sleep i have ever had in my life sleeping on that hammock. I also lost two stone and made some great friends. I came away feeling really healthy and happy. Q Were you aware of how the public was receiving you while on the show ? I wasn't aware at all. To be a part of the show was great in itself but to actually come out the other end as the winner and be crowned king of the jungle was a huge surprise. A very nice surprise at that. it also helped with getting a new younger fan base which has been brilliant. Q Talking of reality TV shows - Whats your opinion on all the new style of shows such as TOWIE and Geordie shore ? To be honest I cannot stand them. Some of the behavior of the people in these shows is appalling. I cannot see the reason why folk would show themselves to the world in this light. I'm not a fan at all. Q Have you got some advice for any aspiring actors and presenters that are wanting to get into show business ? Yes, don't do it ;) Honestly though, if you are wanting to get into this business its all about hard work. You cannot just sit at home and expect to get a job. You have to get out there and work work work. Sometimes its all about who you know too. I'm just pleased i have been a part of show business over the years. Ive seen it change in so many ways , some good and some bad but it has always been about working your socks off and enjoying yourself. The people of Manchester are always wonderful and friendly and I had so much fun (at Gay Pride). I headed the parade and had a lovely time and thoroughly enjoyed it. Q One last thing, can you let us know what you love to do in your spare time? I'm a great fan of traveling. I love to travel everywhere and have visited so many wonderful places. Ive just come back from a cruise in Croatia and I have to stress how much of a wonderful and beautiful place it is. I also like to eat out and let my hair down. Ive actually just been up in Manchester for Gay Pride. I was born in Oldham so to come back to my home town is always a pleasure. The people of Manchester are always wonderful and friendly and I had so much fun. I headed the parade and had a lovely time and thoroughly enjoyed it. Run For Your Wife is out on DVD on the 16th September.